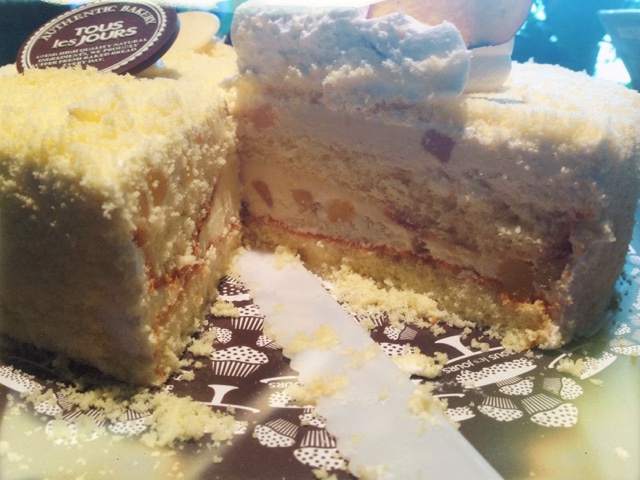 Just as we were wondering why there aren't any good cakes in Korea, this cake comes along and surprises us. 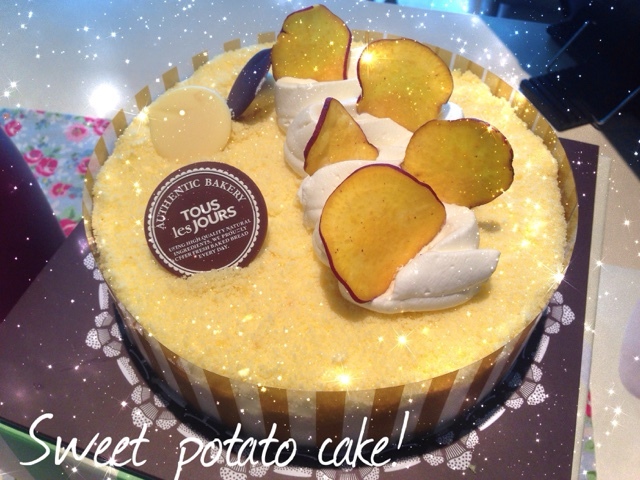 That a non conventional cake, such as this sweet potato cake, can make a conventional oil laden American cake shame itself for being so darn delicious but devilish to its core, from the not so healthy ingredients that wallows the consumer with guilt and sorrow. Korea has many non conventional (to outsiders) ways and things, from serving pickles and pasta, corn and sweet potato cream as everyday delightful toppings on pizza, to red bean ice cream that outsiders may first come across as odd, but later come to embrace the not so mismatchy ways Korea pairs food and other things we won't go over here. When you think cake, at least when I think of eating a piece of cake, I see myself indulging on its moist oily layers of flour goodness while my sugar levels spike up to levels that makes my heart race while my taste buds are savoring the creamy sugary icing that never seems to disappear off my plate. It's hard to get that here in Korea. I have yet come across a piece of cake that I want to swallow in one look. Maybe it's because they cost a good 6-7000won for a good piece of cake, and you can't inhale that in seconds, or you'd better be making that much per second to afford yourself to be so self indulging., then if that's the case, I so envy you. This potato cake is really like eating mashed sweet potato with just enough butter and sugar in it that makes you go, "hmm". There's no sugar rush that makes you want to dance and bogey on the floor, the less than sugar content makes you rather calmer and humbler. That a cake can be bland and healthy but quite okay. This cake has chunks of sweet potato that crosses your path with your tongue, which takes some time getting used to because one becomes so used to the "melt in your mouth" texture of regular birthday cakes. This cake tells you, chew before you swallow. This tactic will give your body some time to adjust to the sugar delivery it's being supplied in a short amount of time. Would I get another cake like this again? Not likely. I would for a health conscious person. It tastes healthy and hope it is "not so bad" as it looks and tastes because you are exchanging that factor for a non cake experience you know, then that would be fair.